At Emmanuel we have a daily act of collective worship which is held as a whole school. Once a week this is held in Emmanuel Church by Fr Jonathan. In our school we have, as a thread running through our work, the belief and practice of the Christian church. Christian beliefs about God, Jesus and the Church are explored through stories and discussion in classes. 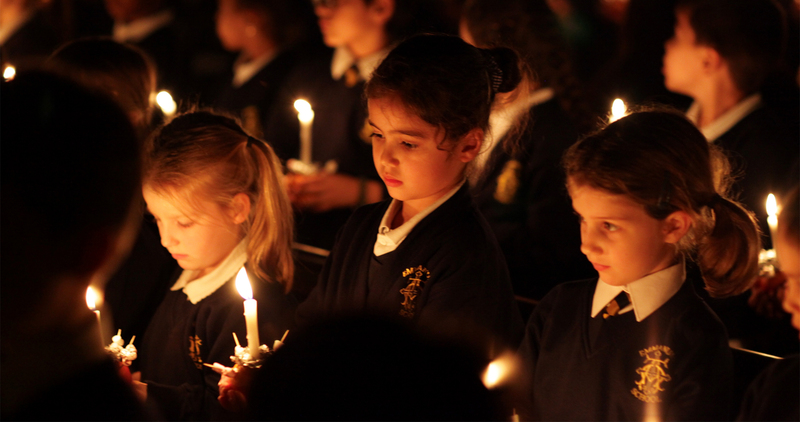 During the school year we celebrate Christian festivals and other important events in the school calendar. Our assemblies are important times when children come together to enjoy stories and songs and to reflect on religious, spiritual, moral and social issues. In our Friday Celebration Assembly we celebrate children’s successes by presenting Headteacher Awards and Aspire Awards. They all receive a big clap and are mentioned in our weekly newsletter!